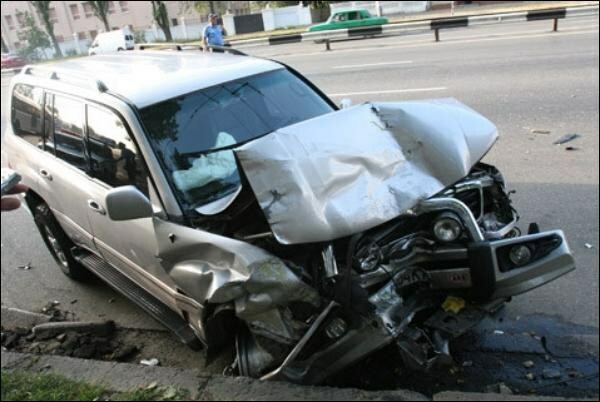 After the accident, many car owners decide either to sell your car or dispose of. In both cases, have interaction with the traffic police authorities for registration of the relevant documents. You need to remove the car from consideration for sale or disposal? - power of attorney for the right of possession of technical means. If you decide to remove the car from the account in traffic police because of its sales after an accident, call a tow truck to deliver it from the Parking lot to the registration points of traffic police. Report to the traffic police and write a statement that you want to remove the car from the register. Wait until your car will be examined by the inspector on the lookout and make a note that the vehicle is not suitable for operation. Take in the window of the vehicle registration receipt for the payment of duty on removal of vehicle from the register. Pay the state fee in the nearest branch of any Bank. With the vehicle passport, power of attorney, if the car is in trust ownership, the statement, the state numbers refer to the registration window of the vehicles. Wait for the processing of documents. Get the passport of the vehicle with a note on that car was removed from the register. If you remove the vehicle from the register for reasons of disposal, call the traffic police inspector at the Parking lot of the broken car. The inspector will compare the engine number and the body specified in the passport of the vehicle and give the act of inspection of the vehicle. Contact the registration authority in the traffic police at the place of residence, complete the application on the withdrawal of the car from the register and will receive a receipt for payment of registration fee for the removal of a vehicle from the register. Pay legal costs in any branch of the Bank. Contact the registration authority of the traffic police with the vehicle passport, the certificate of inspection, receipt of payment, a statement of withdrawal of the car from the register by reason of its disposal. Wait for the processing of documents. When disposing of the vehicle the vehicle registration document remains in the archive of a registering body. If you decide to dispose of the vehicle, removed him from the register and handed over the passport of the vehicle, you will not be able to sell it as the vehicle So think several times before disposal and make sure that the sale of the car in your case is impossible. If you refuse to check out the inspector for a Parking lot, feel free to file a lawsuit, before that, be sure to take a written confirmation of refusal. Sekomu traffic police can not refuse to exit for a vehicle inspection at the request of any of the vehicle owner if the vehicle is not subject to exploitation.